On set of 'Chloe'. On set of 'Chloe'. Wallpaper and background images in the Amanda Seyfried club tagged: amanda seyfried image picture chloe film 2009. 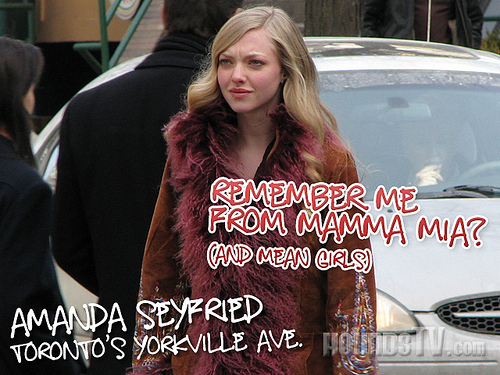 This Amanda Seyfried photo might contain sign, poster, text, chalkboard, street, city scene, and urban setting.